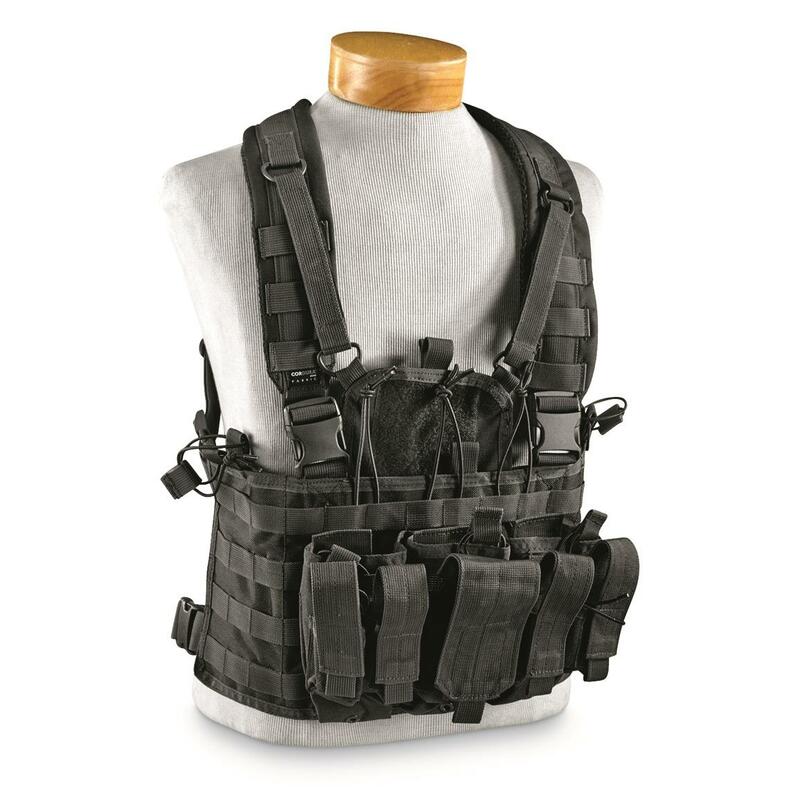 Heavy-duty carry power for pistol and rifle mags. 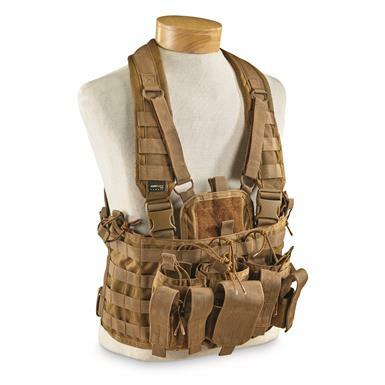 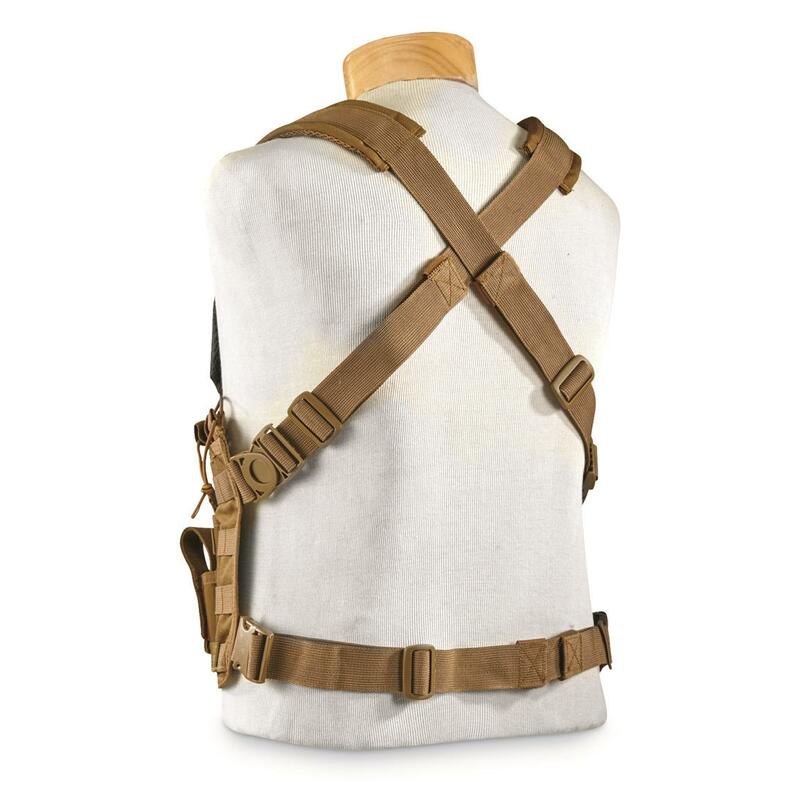 A rugged MOLLE Chest Rig from Rapid Dominance®, designed to boost your maximum ammo capacity big-time. The Rig includes six double-stack mag pouches as well as three AR/AK mag pockets (each AR mag pouch holds two mags). 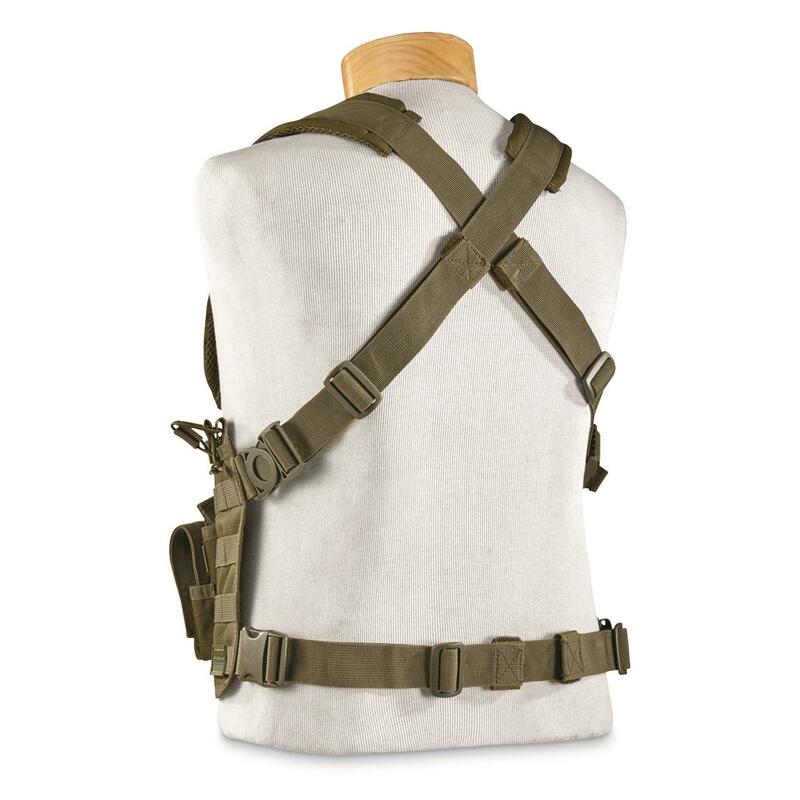 Padded mesh-lined shoulder straps and adjustable torso strap let you carry the extra weight comfortably, and MOLLE loops on the sides let you add in a few extra pouches of your own.